Secrets The Vine Cancun recently had the honor of welcoming John Whaite, winner of The Great British Bake Off! John has a diploma in patisserie from the revered Le Cordon Bleu School of Culinary Arts and has published two cookbooks: John Whaite Bakes and John Whaite Bakes At Home. He will be opening up his very own cooking school later this year. 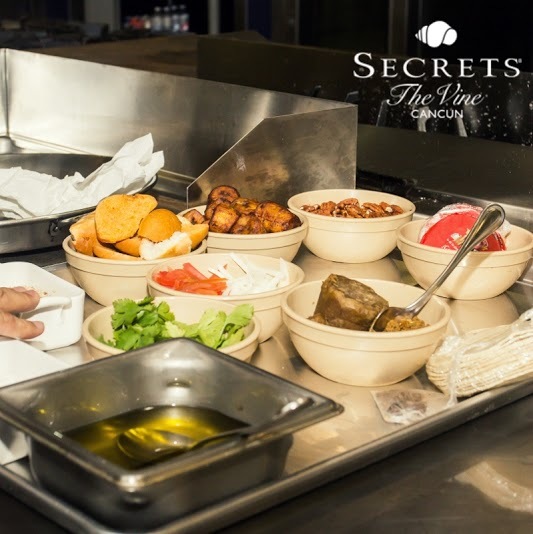 We at Secrets The Vine thought it would be a great opportunity to introduce him to the exciting world of authentic Mexican food and wine, so we decided to show him some recipes! We worked with John to create some traditional Mexican sopes and mole. John even tried making his own sope. The food was paired with Espacio en Blanco, a fine Chardonnary from Hacienda La Lomita. 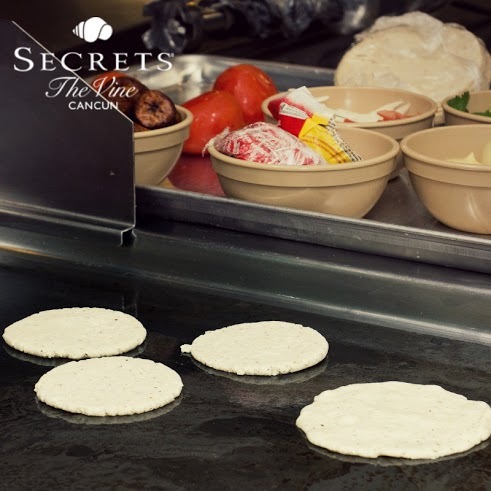 The secret to great traditional Mexican cooking is always starting with fresh ingredients at Secrets The Vine Cancun! 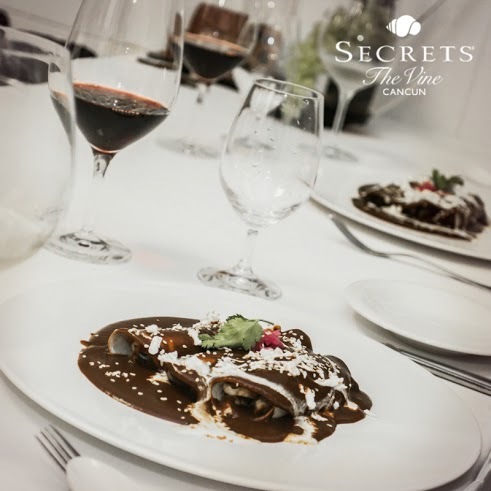 As the delicious scent of fresh prepared mole filled the kitchen, Secrets The Vine chefs completed the final steps and it was ready for enchiladas, which were paired with Mogor Badan, a great Cabernet–Merlot wine from Valle de Guadalupe. We had a great time with John in the kitchen and wish him the best of luck with all his future ventures! 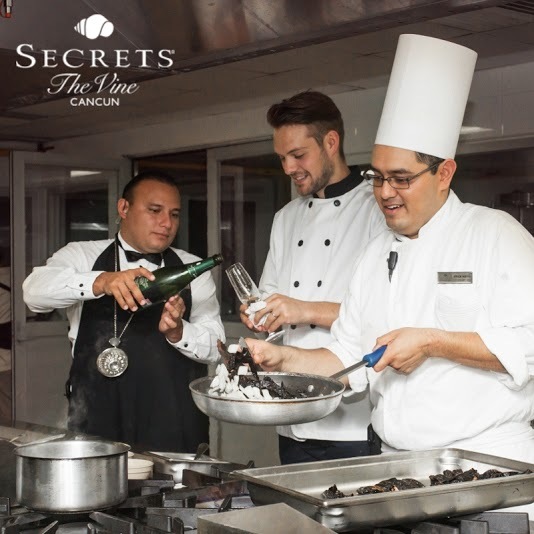 This entry was posted in Secrets Resorts & Spas, Secrets The Vine Cancun and tagged Cancun, cuisine, John Whaite, Mexican Food, mexico, secrets the vine, the Great British Bake Off, wine pairing. Bookmark the permalink.